Students learn proper playing technique on professionally tuned instruments to develop tonal quality. Students learn to play various tempos and to perform solo. Kids help each other toward a common musical goal, channeling tolerance and acceptance of cultural differences. 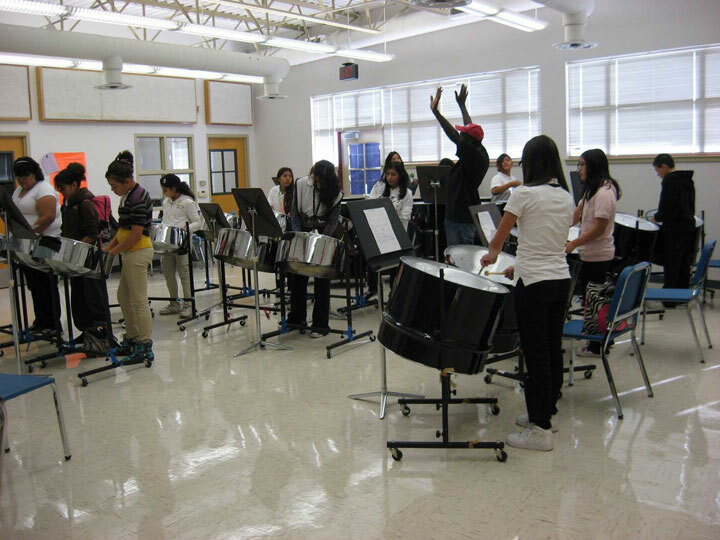 Steelband is a cross-cultural magnet for learning TEKS skills within musical teamwork. Age: 10 years to Adult. We accept younger students after meeting to determine their ability and interest. 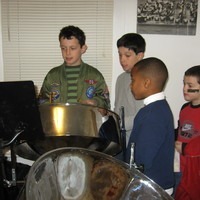 Steelpan instruments are provided. 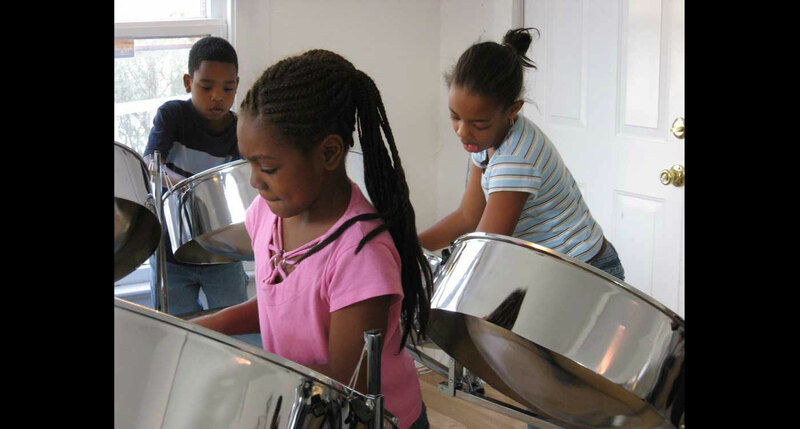 Steelpan is a cross-culturally joy inspiring percussive and melodic instrument. Students quickly learn to play and perform, beginning with a scale, followed by a simple, familiar song. 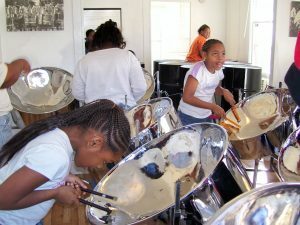 They focus on rhythm as their skills increase, progressing through more challenging music. Beginner’s classes for ages 7-17 years are 1 ½ hours, twice a week. Adults are once a week. We will teach enthusiastic younger kids who have required attention span and/or talent. All students perform at least once. More advanced students progress quickly through music they choose and enjoy, motivating and empowering them to stretch their musical limits. Our Musical Director Cecil Francis uses masterful arranging skills on any musical style, making it fun for students to play and audiences to hear.Students experience the adventure of learning varied genres while cultivating musical appreciation. 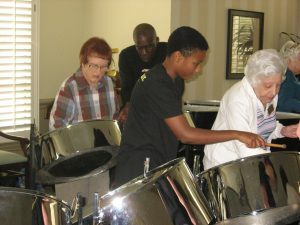 Many students remain with us for years, performing regularly for events throughout the Austin community. SPECIAL THANKS Strait Music for donating manuscript booklets. 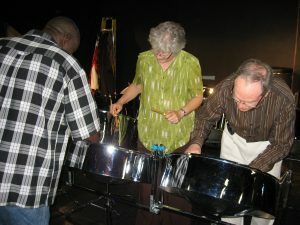 We conduct Steelband Workshops for schools, organizations, and company team building on-site, at retreats, or at our school. Click here to view a listing of our wonderful teaching staff.